Welcome to the online resource for the rear wheel drive Toyota Carina! Wanted: brochures and other documentation! We are looking for Toyota Carina brochures and other documentation. 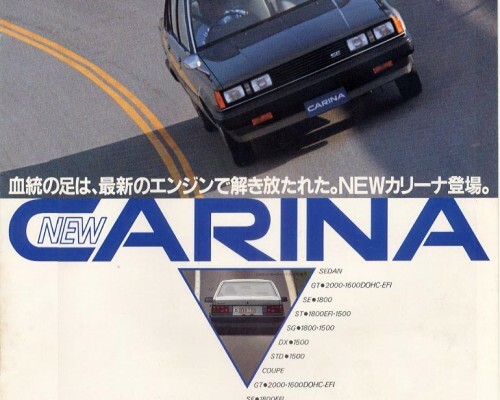 We already have scans of (almost) all brochures of the Toyota Carina A60 so we are mainly seeking scans of the Toyota Carina A10 and A40. Copyright © 2019 Carina FR. All Rights Reserved. Designed by bavotasan.com.